Zind Humbrecht's 2007 Riesling Clos Häuserer shows all the limestone/calcareous character this grape variety can acquire from a healthy, slow ripening vintage: lots of minerals, juicy acidity and good weight. The lower than usual alcohol level makes it a fantastic food wine and its delicate finish is more enhanced by its acidity and minerality than sheer power. 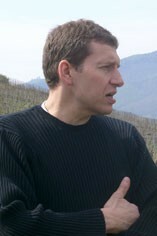 The Wine Advocate - For some Riesling lovers tastes, though, it will be overly austere and aggressive. 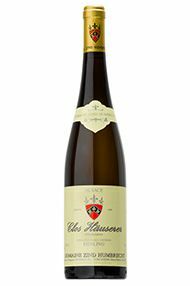 With virtually the same balance as Humbrechts dry (5 gram residual sugar) generic bottling, the 2007 Riesling Clos Hauserer leads with lemon, pineapple, and hints of smoked meat. 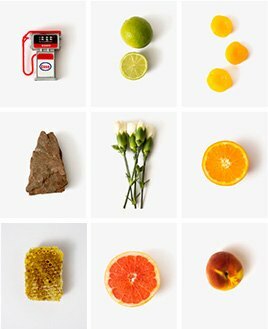 Bitter notes of lemon pip, iodine, and juniper berry offer invigorating contrast on a palate of bright refreshment, underlain with a decisive sense of chalk. Lean yet full of sap and palpably dense, this persuasive, penetrating, vibrant young Riesling should be worth following for at least a dozen years. This was extremely backward in its evolution in cask as befits a backward terroir, points out Humbrecht and no report based on a 2008 tasting would have been able to do it justice.